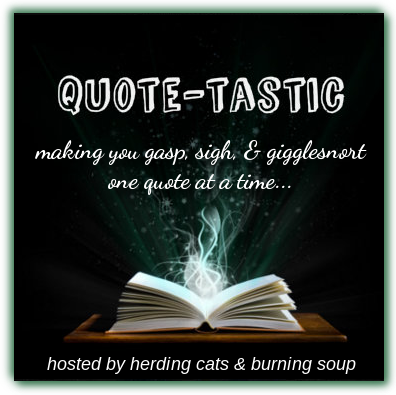 Quote-tastic Monday: The Janus Affair by Pip Ballantine & Tee Morris | Elaine Reads . . . constantly! Some books are good, but it’s really the individual lines that make the book. Others are good, but you can’t pick out any piece of text or dialogue to explain it. The Janus Affair is one of the second. I love this series. 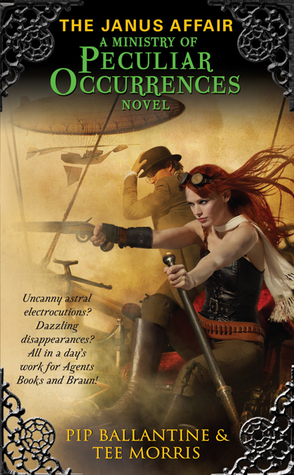 I believe it is the first pure steampunk series I have read and I don’t know why it has taken me so long to get back to them. I read the first two when they were initially published and never noticed when the rest of the series came out. I am making up for that now. In these books, there is a gender role reversal, especially for the Victorian period. Eliza Braun is a Ministry field agent, or at least she was, and Wellington Books is the Archivast – not a librarian as he is quick to tell you. And yes, I do love their names. And that pretty much describes Eliza and her penchant for explosives. There are five books in the series and a the first book in a spinoff series was published in 2016. I really, really need to get caught up on my TBR mountain.